Mobile Solutions have become vital in every industry to deliver superior service and customer satisfaction. Softweb Solutions delivered its client mobile field service application that unlocks new levels of efficiency. 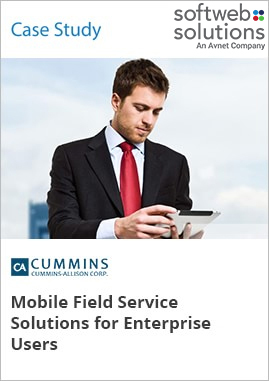 The mobile app enabled Cummin’s field service executives and sales personnel to access their vital customer and service information while they are out in the field. The solutions allow field staff to decrease time spent on traveling to the workplace and increase overall productivity.